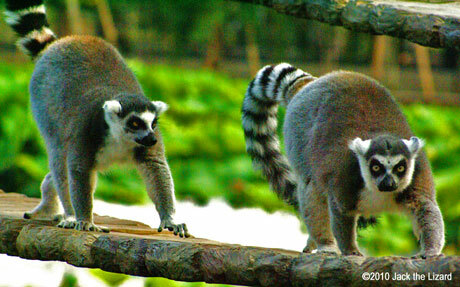 Madagascar is the island for Lemurs. 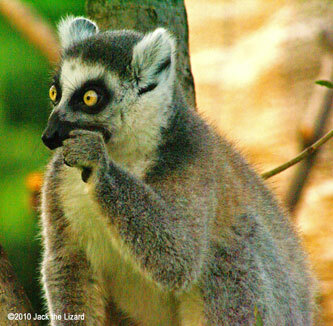 You may notice that lemurs are looking at you straight. 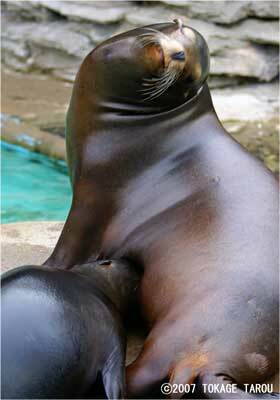 Since their muscles around the eyes are not developed well, the movements of the eyes are limited. So they have to face to what they want to watch. 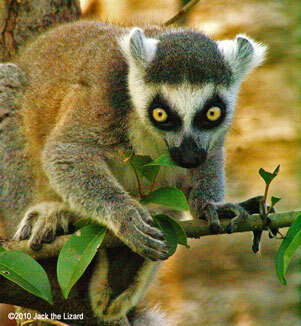 The Ring-Tailed Lemur lives in the south part of the island of Madagascar. 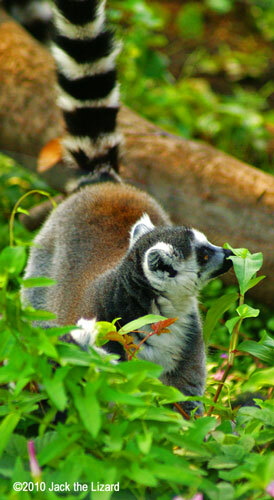 A female take the role of leader in the troop just as the other kinds of lemurs. 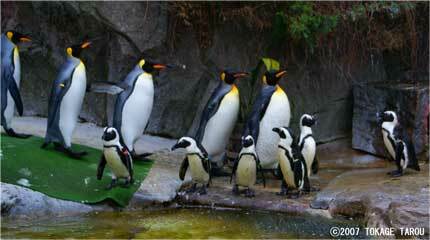 Their main diets are plants and fruits. 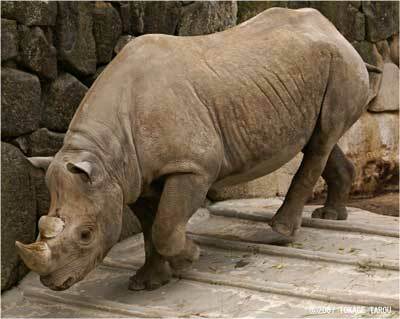 They sometimes eat spiders and insects such as cicadas and glass hoppers. 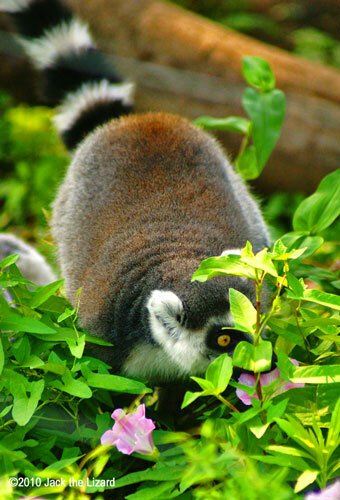 During the winter when their foods are limited, the lemur consumes more variety of foods. 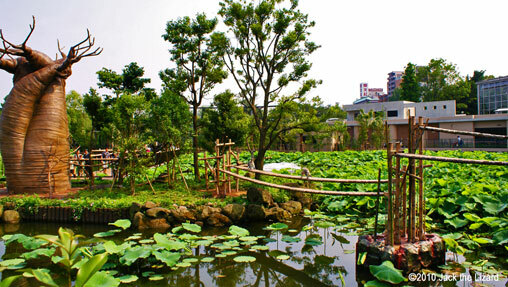 Cactuses are the great sources of water in dry seasons. 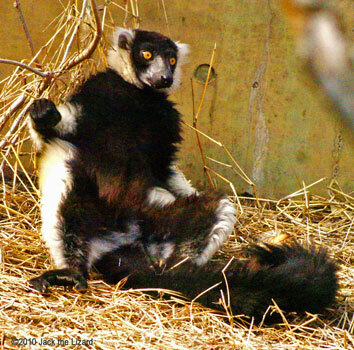 Unlike the Ring-Tiled Lemurs in captivities which have beautiful shiny fur, the lemurs in the wild sometimes are slimed down and lose a lot of hair. 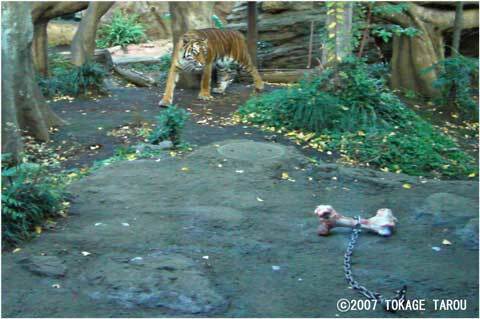 Their wild environment is not easy for them to live all the time. 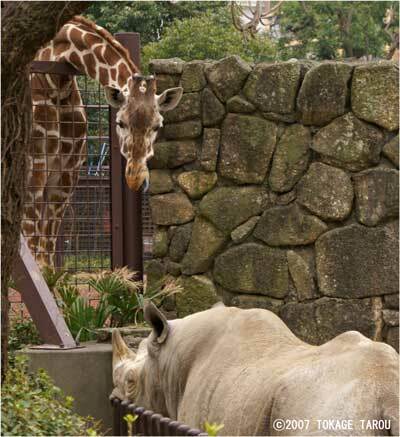 Their food is so limited especially during dry seasons. 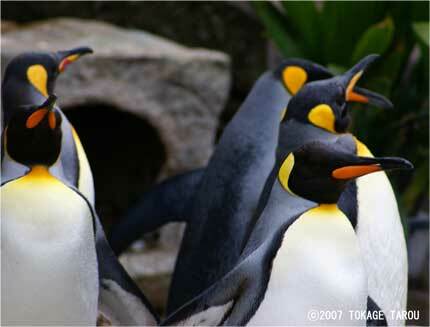 Their habitats are mostly the forests along rivers. They spend on the ground more than the other lemurs do. 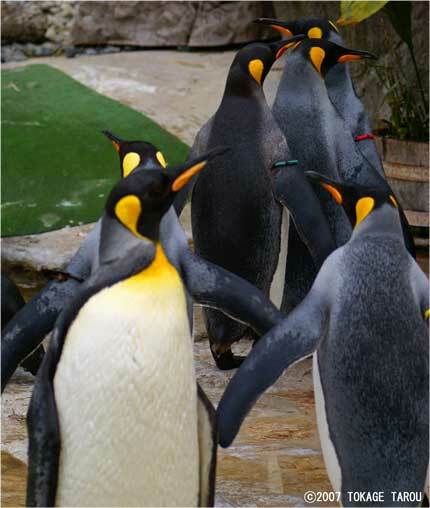 They also walk on the ground when they migrate. 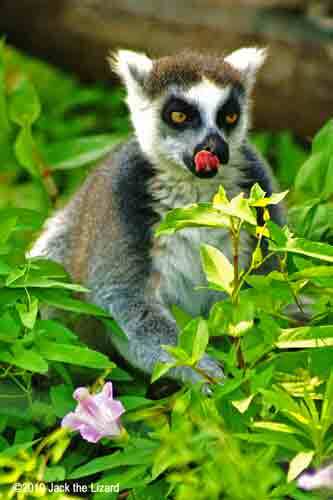 It looks the lemurs love to eat flowers. 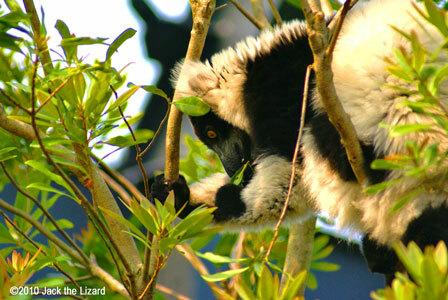 The Black-and-white Ruffed Lemur in wild is endangered. They create their nests with twigs and leaves. Their diets are mainly fruits. 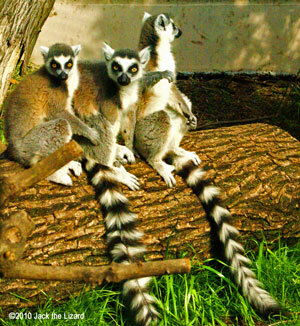 The body length is about 1.2m which is larger than most of lemurs. 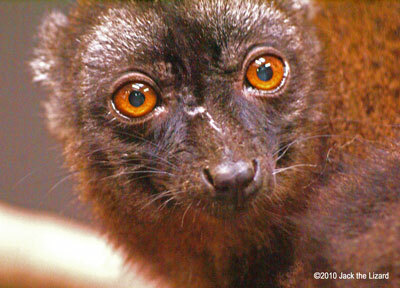 The Red Ruffed Lemur is in the same Genus. 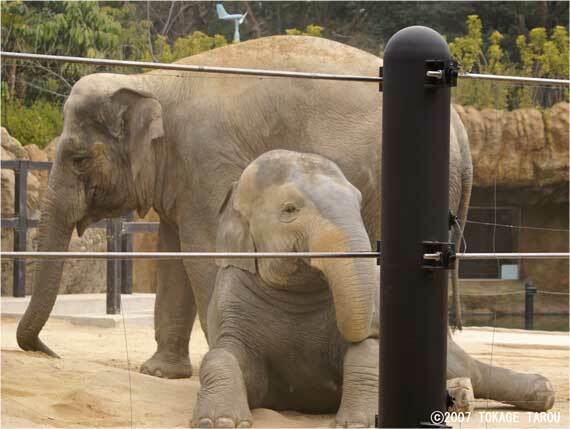 We are the Asian Elephantss. It's fun to play on the ground. The sands remove bugs or parasites from our skin. Ms. Giraffe smiles at you as if she is your mother. A glorious moment. I like to walk in the morning. I have to say hello to my neighbour. "Good morning, Ms. 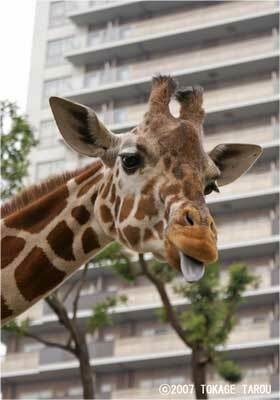 Giraffe." 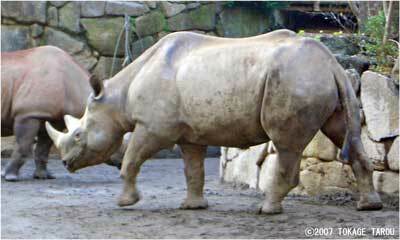 "Hi, little Rhino, How are you today?" 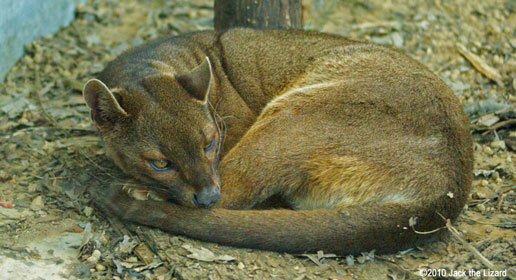 The fossa lives in temperate deciduous forest and tropical rainforest in Madagascar. 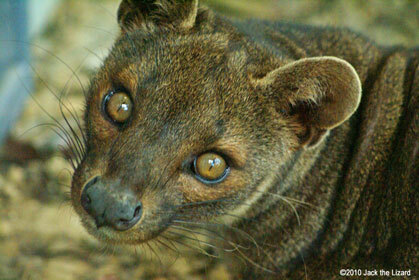 As carnivore ,the fossa’s major diets are middle sized mammals such as lemurs and small animal like lizards, mice and insects. 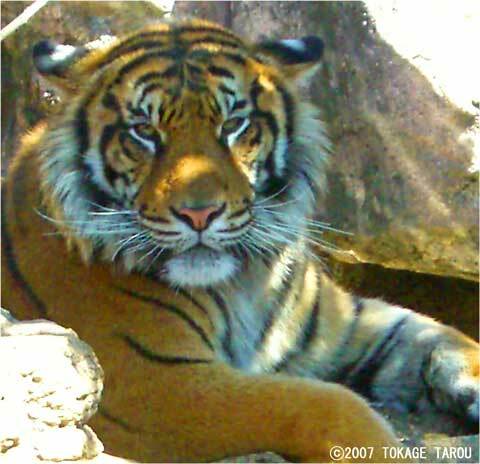 They are more active in the early morning and late afternoon to night. 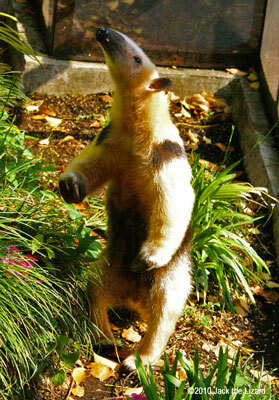 The Southern Tamandua inhabits in the tropical rainforest or savanna in Argentina, Uruguay, Brazil and Venezuela. 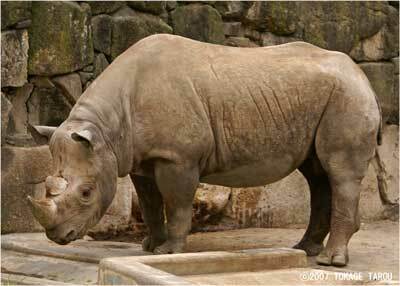 They eat ants and termites. 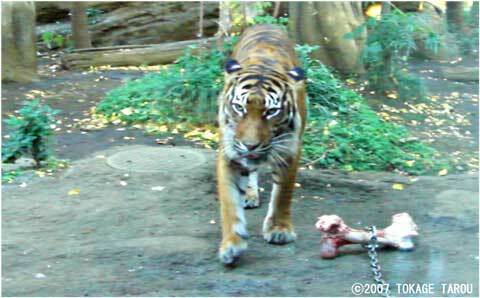 They are fed on fruits and honey in the captivities. They are active at night. 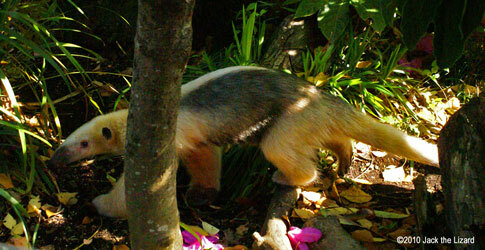 The wild tamandua spends more time on trees. The long clowed digits on the forefeet are useful to break ant nests and to protect themselves from predators. It's the time to march! Hi, guys! Let's start. Make a line. In single file! 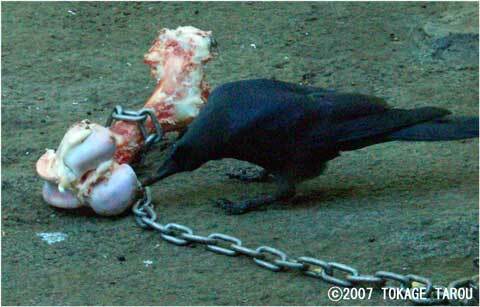 That was a great supper. I need to take a walk to help my digestion. OK. Here I am. Well, it's a great evening. 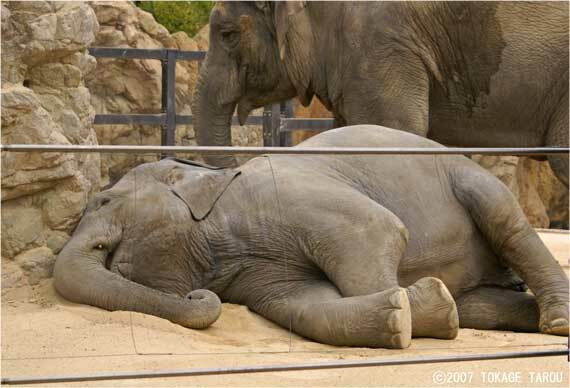 I feel sleepy now. Well, excuse me. Can I get some share while you are snoozing?